The rainy season has finally arrived and so have the mud, slippery terrain, puddles, and flood. 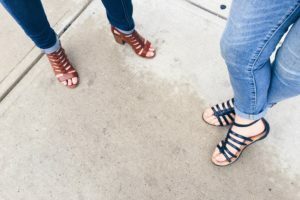 I am sure by now you must be really confused which footwear to buy this monsoon which will not only make you forget about clogged waters but will also look fabulous on you, making you look more beautiful in this rainy season. Girls, we are lucky! Ask why? 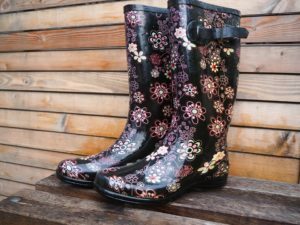 Did you know that there was a time when ugly gumboots or drab flip-flops in black or brown color were the only options available to us in rainy seasons? Luckily today’s Monsoon footwear are way more trendy & stylish compared to their older generation. Today’s rainy shoes come in all sorts of colours, styles & designs. They have become so stylish that pairing it with cool dress and accessories can give you easily a sizzling look. Trust me buying a right pair of rainy shoes will make the monsoon a lively, enjoyable and exhilarating season of the year for you. In this blog post, we will show you our top picks of rainy footwear which gives you the perfect monsoon style you think you are missing. 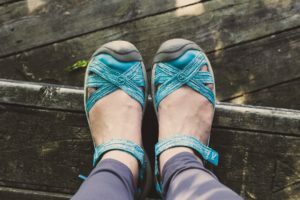 Buy sandals made of durable materials so it can withstand the flow of water, has a firm grip so you can’t slip on wet ground. Go for thick sole sandals which will make you easy to walk in puddles. For instance, Jelly or T-Straps sandals are really good options to be considered for the rainy season. They are available in decent & funky colors so can be worn in office or outing. 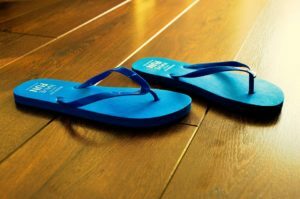 Flip- Flops are mostly used during the summer and wet season, made of rubber or PVC material makes it ideal shoes for rains. The good thing about flip-flops is they are easy to maintain and dries early. Just clean it with a damp cloth and you are done. They come in a variety of designs, colors and are affordable. Overall Flip Flop can be a wise choice of footwear while stepping out this monsoon. Ballerinas are very versatile and can be worn for formal, casual and party occasions. Being very durable and flexible and having anti-slippage properties, it is a highly recommendable footwear to purchase during rainy seasons. I personally feel there is nothing better than Gum Boots to protect your feet in heavy rains. Mostly made from rubber or PVC this footwear is usually knee-high and waterproof. These boots protect the feet from mud, dirt, and water during monsoon. Available in the funkiest colors; you can pair them up with a skirt, jeans or shorts and keep up with the latest fashion trends. Rubber flats also known as Jelly flats is also a good alternative for heels during the monsoon seasons. What I like about rubber flats is they can withstand the heavy gush of water rain. Jelly flats are available in different designs and colors giving you the most stylish look which is also suitable in office premises. These are currently trending in the market. With this list of monsoon footwear suggested by us, you won’t have a hard time to style yourself this rainy season. While wearing stylish footwear is important, choosing footwear with the right sole is more important. These footwears are tried and tested choices, which you can flaunt this rainy season! So, begin your monsoon footwear shopping spree right away and enjoy a Happy Monsoon!